published in collection, The Janus Hour, 2010, Oversteps Books (www.overstepsbooks.com), ISBN 978-1-906856-16-8. 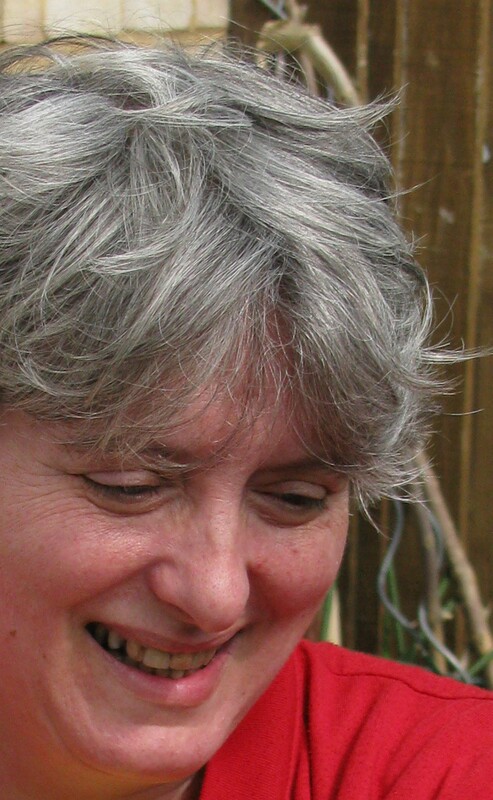 Anne Stewart is the founder and editor of the online poet showcase, poetry p f, President of the Shortlands Poetry Circle, and the Poetry Society Stanza Rep for Kent North West. She is Administrator for Second Light, she created and runs their website, SecondLightLive, and she was co-editor of Issues 1 to 4 of their biannual journal, ARTEMISpoetry. She was awarded an MA (Distinction) by Sheffield Hallam University after studying poetry with Sean O’Brien and selected for the “Ten Hallam Poets” anthology (eds. Sean O’Brien, Steven Earnshaw and EA Markham), which attracted high praise from top-calibre poets (Paterson, Darling, Dunmore). She won the 2008 Bridport Prize with ‘a nice little sonnet’. Her first collection, The Janus Hour, was published by Oversteps Books in July 2010. She was the Translator/Polisher for a book length poem, aproape. atât de departe / close. so far away, by Romanian poet, Lucian Vasilescu, which was published in bilingual version by Integral/Vinea in 2009. This is a stunning poem – one of those that I feel privileged to read. It really hit a chord with me. It took me on a journey – I felt as though I was holding your hand and it was worth every moment. Thanks for a great read. Another book is now a ‘must have’ for my poetry shelf. Wonderful poem, it moves so gracefully, Thanks both. Beautiful. I really enjoyed reading this poem- it seemed so bare, so delicate, and lucid. I loved ‘sapphires/ setting off the world.’ The sentiment chimed with me. I will definitely seek out some more work. I agree with everything Valerie said . The last verse is truly beautiful …the way you lead up to that last line. I love the way the speaker reflects, that line about “left tired by all your own old steepnesses” and even the punctuation you use! After reading your poem, I also read both the reviews. Impressive. And I’ve just now ordered a copy of your book from Oversteps. I’m determined to find out more about your poetry including “The dangerous auntie” who “sits in the corner couch” !! Thank you. p.s. And I agree with everything that Melissa says too 🙂 It’s just that I didn’t see her comments when I posted mine. What a lovely poem, I really really did feel that I had been taken by the hand and led to a special place. I think that the words ‘sapphires/ setting off the world.’ set off the whole poem. Thank you Anne and thank you Abegail for picking such lovely ‘guest’ poets.